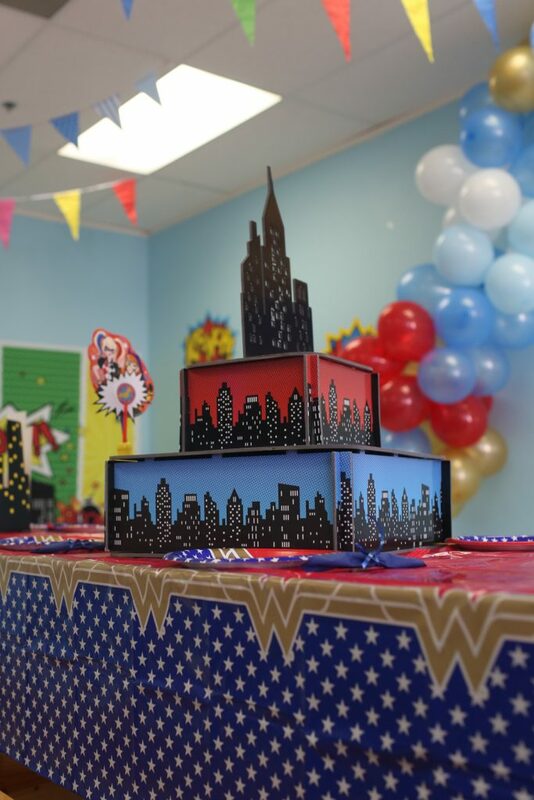 We loved decorating this themed Wonder Woman party! 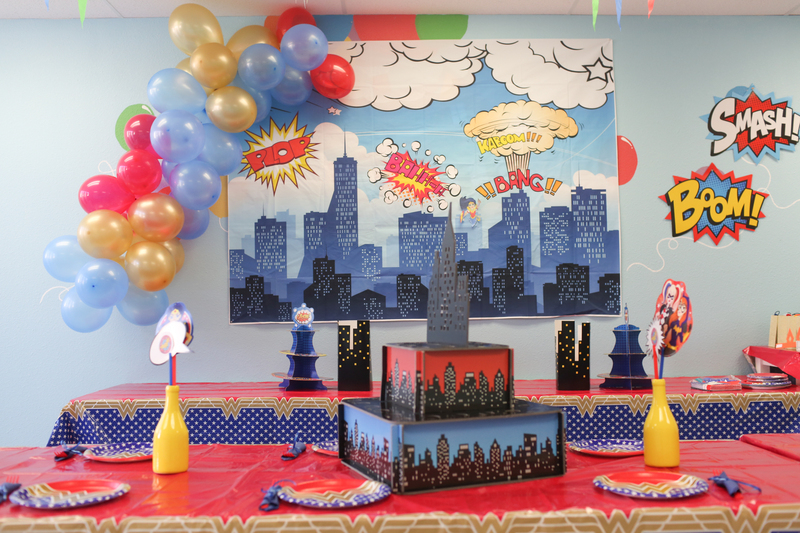 We used a lot of inspiration from our superhero donut party and added a little bit of wonder woman flare such as the balloon arches in Wonder Woman colors. 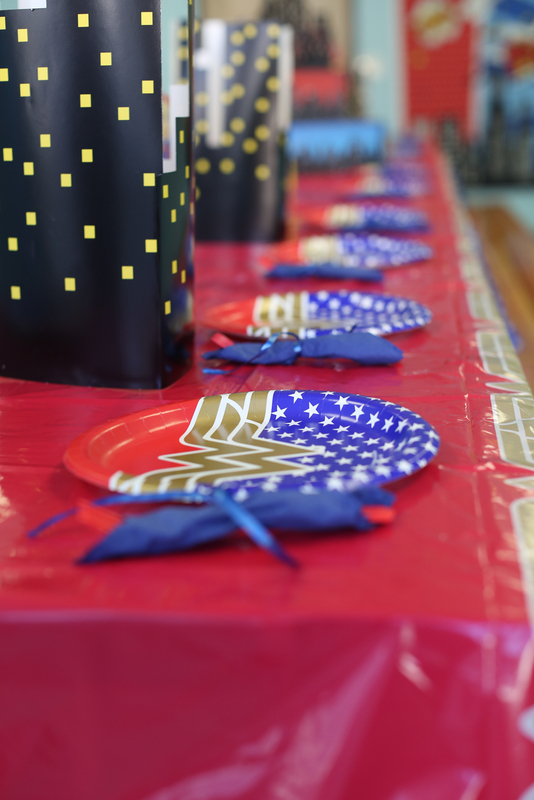 Wonder Woman table coverings and plates were a must! One of the things we love about our themed parties is setting the table. 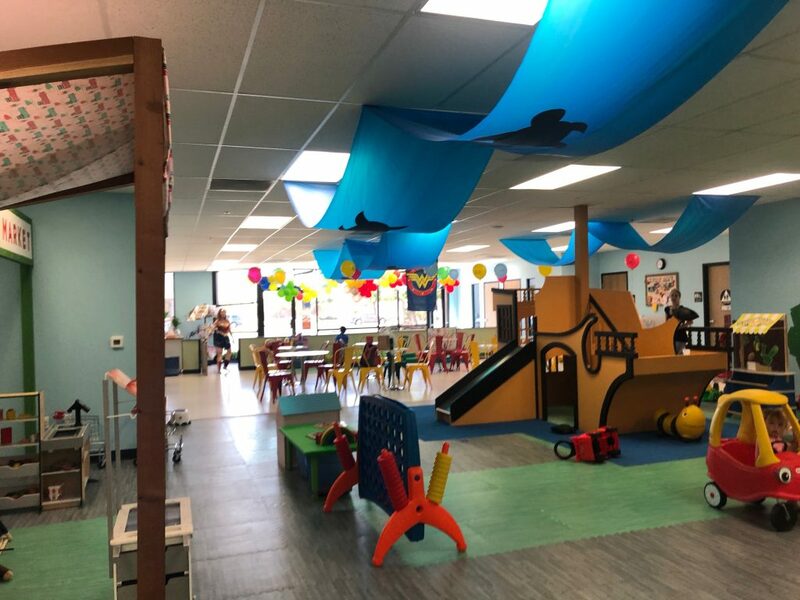 It makes the room look complete and ready for a party. 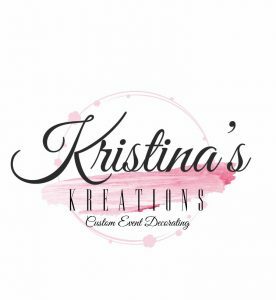 We love the little border details on the birthday banner and chalkboard. Of course, gold party bags only made this party that much more super. The table decor included some towering buildings. 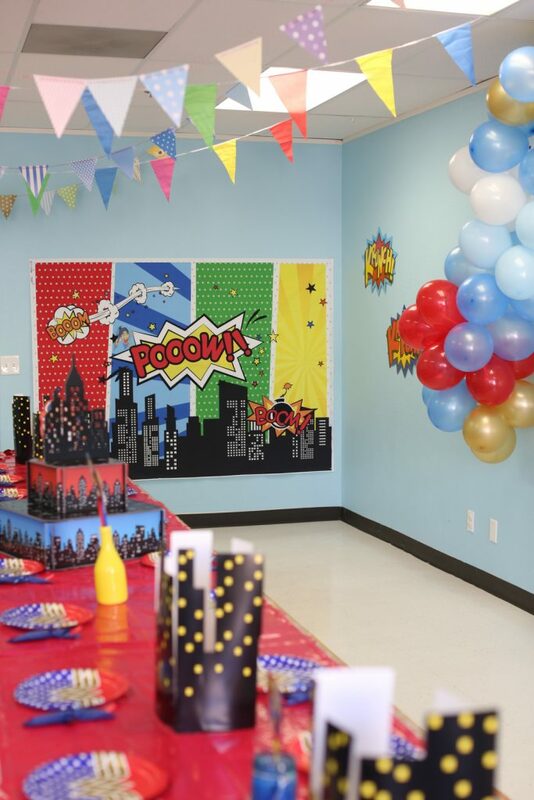 The party even had a superhero photo backdrop. Can you spot Wonder Woman on it? 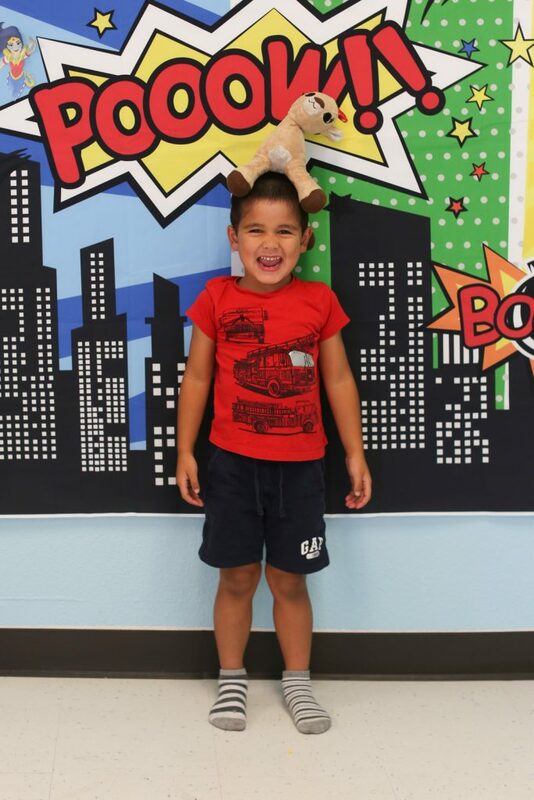 The backdrop was definitely kid approved! 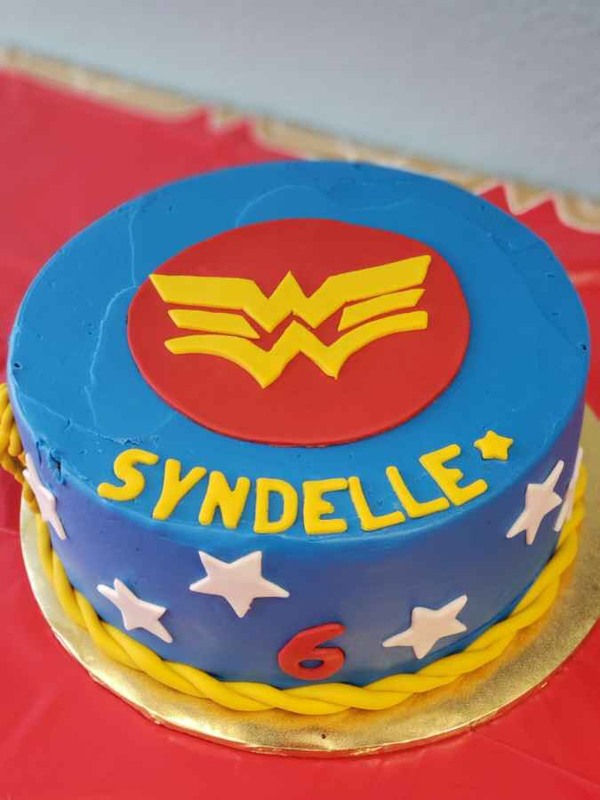 To top it off the party parents bought the cutest Wonder Woman cake for a their 6 year old’s party. 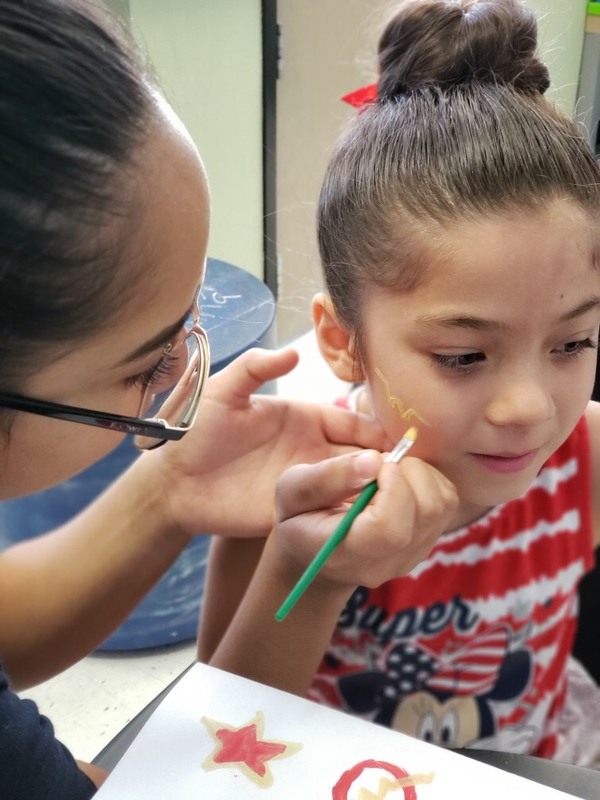 We did many activities for this party such as bracelet making, obstacle course and face painting. 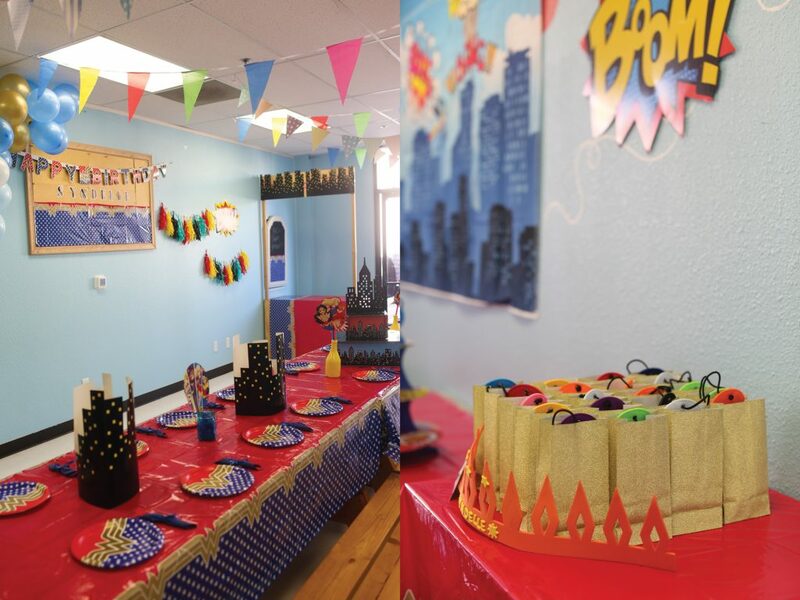 This party was a blast with all kinds of superheroes showing up. We can’t wait for the next one.